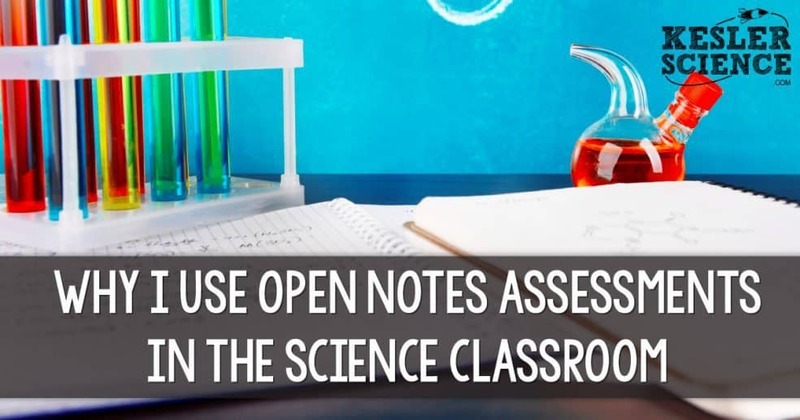 We have been using open notes assessments all year long in our science classes with the exception of our December benchmark (cumulative test). My scores came back about 10% higher on the benchmark than I have ever seen on tests prior to using open notes assessments. Again, the benchmark was not open notes. I’m not posting scores to brag, but when I see a 91% pass rate in a school that has a relatively high eco-dis population, then something has to be going right. I really feel open notes assessments are a huge part of that formula. I have never given an open notes test until this year. Thinking back to my days in grade school, it seemed like the teachers who were giving open notes tests were also that same ones that never left their desk. I don’t really know why that correlation existed, but it did. I felt if I were to give an open notes tests that I was somehow cheating the student out of learning the information. This year I discovered my new science team allows the students to use their science journal for every test/assessment that they give. I was dumbfounded. At first I was a holdout for the same reason listed above, but then I began to process how this change could actually benefit the student in the long run. After analyzing my students over the past month I have come to the conclusion that everyone should be giving open notes exams. I will detail my reasons below. The world is an open book test – There isn’t a job out there that doesn’t allow you to use your resources to find answers. Why should educators stand in the way of the tools and resources that the students of tomorrow will have at their fingertips? This just doesn’t make any sense at all. Students will take better notes – I have seen it first hand in my class that students will take better notes and keep better journals if they know that they will have that available to them as a resource for an exam. It may take a couple of assessments before they realize that they need to pick it up during ‘practice’ time, but they will figure it out quickly. It makes you create better assessments – If your exams consist of a bunch of vocabulary words that students can easily look up in a journal, then your exam stinks. However, if your exam has a multi-stepped problem on calculating the net force of an unbalanced object, then why shouldn’t we allow students to go back and look at previous work that they have completed in class to help them solve the problem? The reality is that .0000036% (made up stat) of these kids are ever going to calculate net force once they get into the real world. We should be teaching how to be resourceful – If you asked an employer if they would rather hire someone that can memorize or someone that knows how to be resourceful, I’m sure you would all agree that they would choose the latter. The 21st century employee is going to have information at their fingertips that we could only dream of as children. It is imperative that students learn how to find information. I have found that students really appreciate and understand the importance of their journal when we go back and look at the most missed questions on the test. I show them where I found relevant information in their INB’s and how it could have helped them on that particular question. 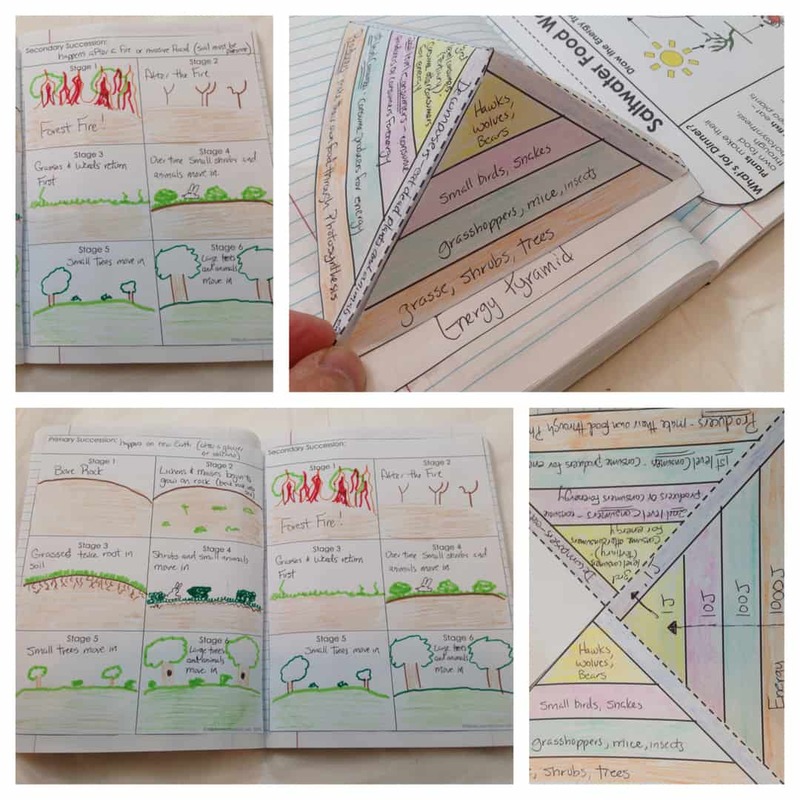 You are empowering the student and building confidence – By allowing your students to use their own notes you are empowering them to take charge of their own learning. I have seen first hand students that have never been successful in other classes pump out some amazing grades this year in my class. This builds up confidence over time, yet puts the blame back on them if they didn’t have good reference materials to work from. Standardized tests should listen up too. If students are forced to take standardized tests they should also be able to use their resources from class. Think about how much more creative journals and notebooks would become. Think about how much more engaged teachers would become about teaching resourcefulness. I guess that would take the standardization out of the test. That wouldn’t be such a bad thing, would it? I’m sure that there are ways to take this new strategy to the next level, but for now I’m very happy that I’m empowering my students to be resourceful and allow them to use their notes for all assessments.